A Christening Cake celebrates such an important milestone for new parents and grandparents, it’s a perfect excuse to get baking and be creative. After all it’s a time of great joy and even more reason for me to make your special day truly memorable. 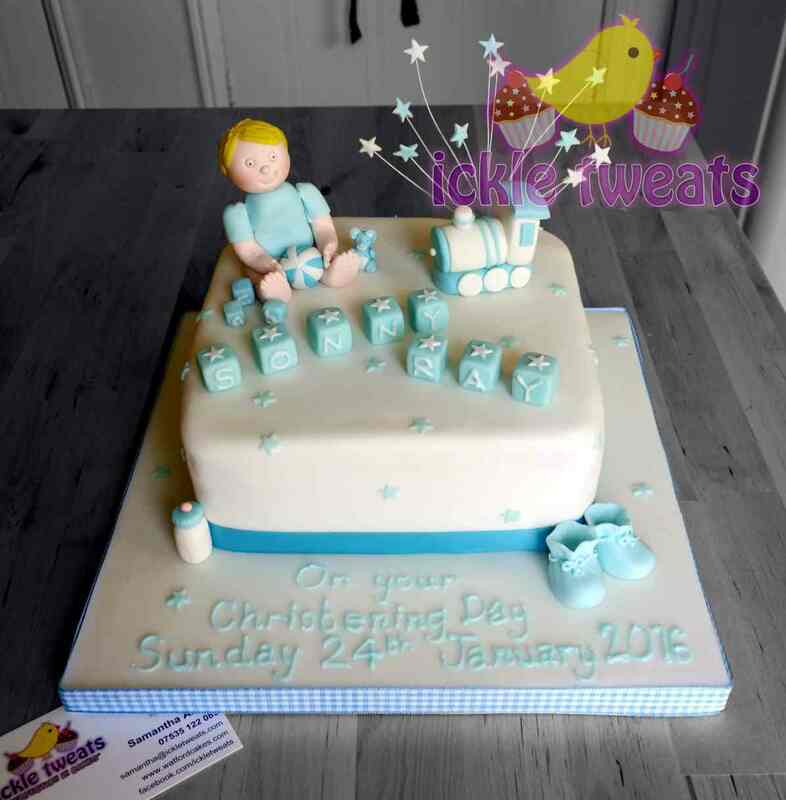 A family Christening is probably the first major celebration in a new born’s life, so sharing a hand crafted and very personal Christening Cake is a gesture unlikely ever to be forgotten. All of our cakes are individually designed so if you have any special requests tell me and I can provide you with exactly the cake you want. You might choose a tower of cupcakes or mini cakes, a simply designed single tier, a show stopping tiered cake or a 3D model cake which depicts something relevant to you or your family. Need something different and unique to you or something not seen before? Just tell me what you have in mind and I will advise you on how best to make your ideas a reality. Within the pages of this website you will find some great bespoke cakes which hopefully will give you some inspiration, the only limits are your imagination and your budget. 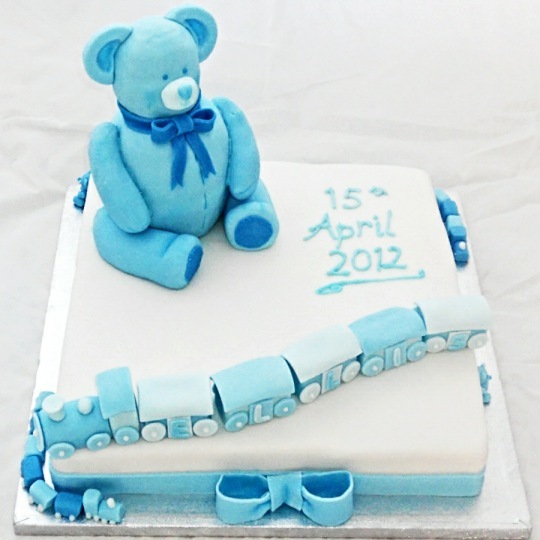 If you are looking for Christening Cakes in Manchester please give me a call to see how I can help. Each christening cake is freshly baked to traditional family recipes using only the best quality, locally sourced ingredients wherever possible. I offer a range of fillings to choose from including sponge, chocolate or fruit, and even gluten free, dairy free and vegan options. No matter whether you need a traditional Christening Cake or favour a more individual approach, with a bespoke cake the choice is yours. 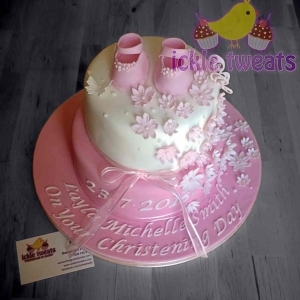 Celebrate a little one’s Christening with a sweet cake to mark such a special moment.